Carrot seed oil has originated from wild Queen Anne’s which is also referred to as Wild Carrot. Carrot seed oil is extracted by steam distillation of dried seeds. It is cultivated in middle Eastern and central Asian countries. 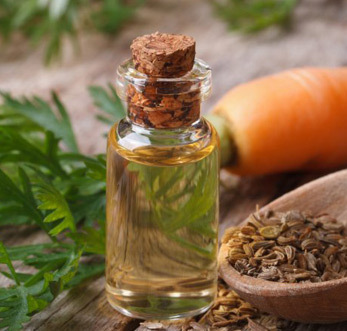 Because of the presence of vitamin and carotene, Carrot seed oil is ideal for enhancing the texture of the skin and for healthy teeth, gum and hair growth. Besides that it is useful in terms of keeping check on the eyesight. It is also used for treating cancers relate to throat and stomach and is highly recommended for people suffering from rheumatism, arthritis, influenza and bronchitis. Carrot seed oil also prevents toxins accumulation, in joints and muscles. Besides that, it is also used with some carrier oils in perfumery, candles and diffusers.